Welcome your new technicians to the industry with our revolutionary comprehensive technical training programs. Transform new hires into revenue-generating technicians in as little as four weeks. Our four-week, hands-on training program is your quickest route to a professional and proficient technical staff capable of creating long-term customer relationships. Graduates finish the course with a thorough understanding of technical theory, systems and controls, test equipment, diagnostics and troubleshooting, safety standards, and HVAC industry codes. On average, 96% of students pass the NATE exam the first time! 100% pass the EPA exam. More than half of managers were more confident in graduates’ ability to handle service calls following graduation. 82% of managers reported reduced callbacks following graduates’ service calls. 64% of managers reported graduates were able to troubleshoot problems faster. Utilizing the same curriculum as our BuildATech® program, Virtual BuildATech® enables your technician to train at his or her own pace through video-based labs and innovative online 3-D simulations. No matter the season, the self-paced nature of Virtual BuildATech® means you don’t ever have to sacrifice your technician for training. Each training segment concludes with a proctored exam that must be passed in order to continue. 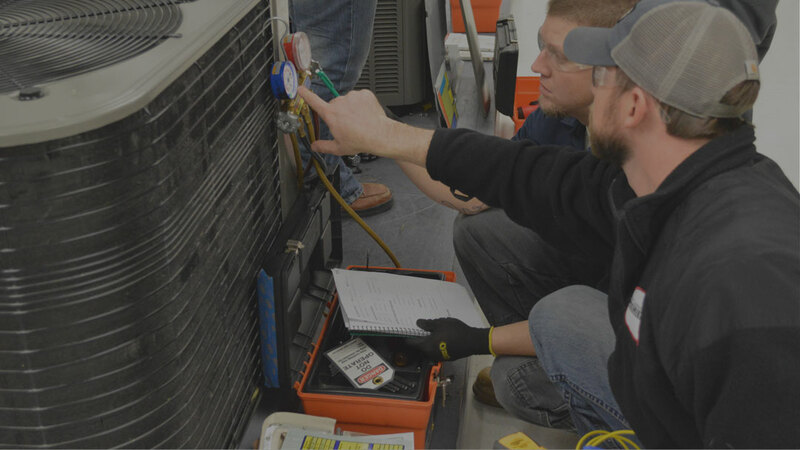 Multimillion-dollar HVAC companies use the Virtual BuildATech® program in their official onboarding and development of their technicians.